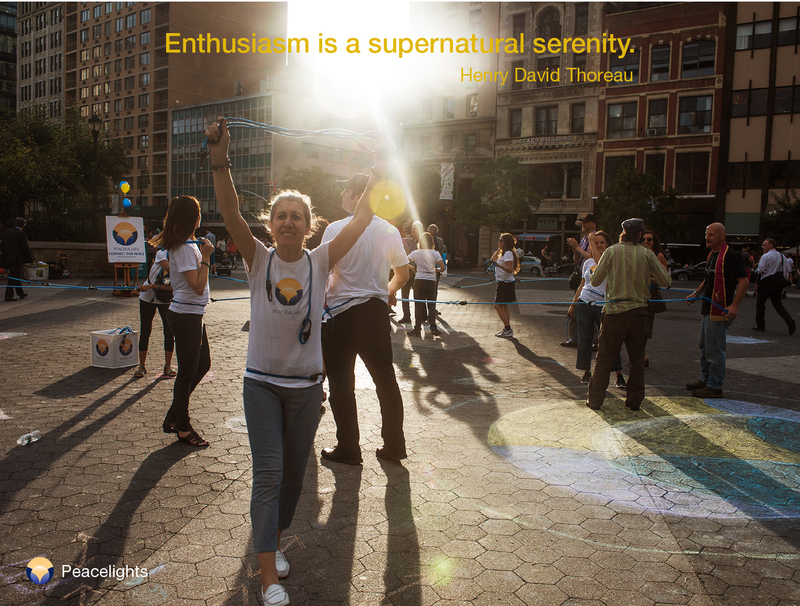 This week's Friday Flicker is from our 2017 Connect for Peace street happening in NYC, with a quote from philosopher Henry David Thoreau (1817-1862): "Enthusiasm is a supernatural serenity." 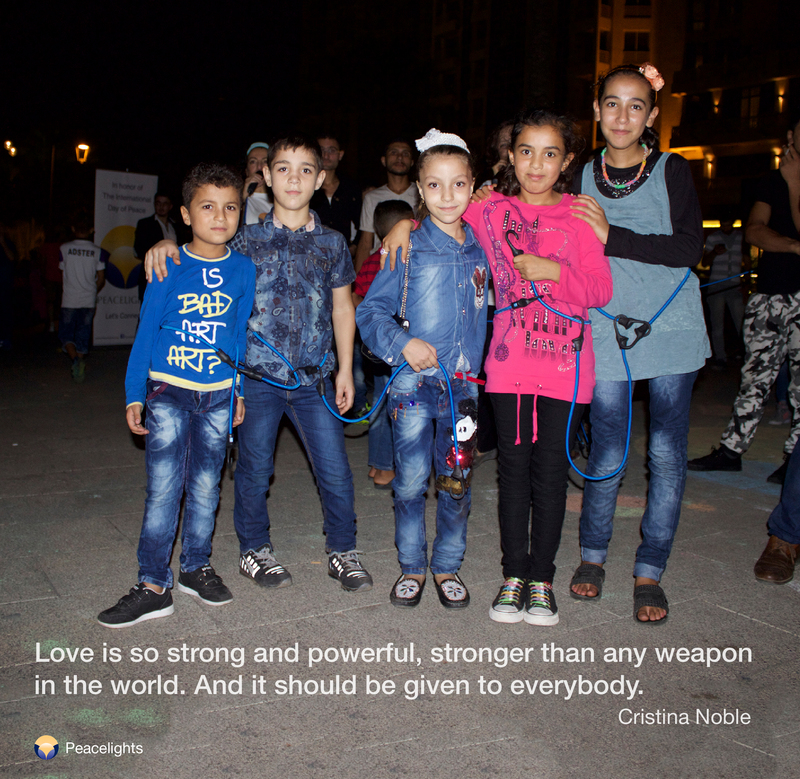 This week's Friday Flicker is of our 2015 Connect for Peace street happening in Beirut, with a quote from children's rights activist Cristina Noble: "Love is so strong and powerful, stronger than any weapon in the world. And it should be given to everybody." September is a very special month for all of us who are working for peace. In 1981, September 21st was declared the International Day of Peace. There are so many amazing events taking place throughout the month, we could call it the International Month of Peace. We were moved by the message of United Nations Secretary General Antonio Guterres on the International Day of Peace, reflecting on the cruel price of war. You can listen to it here. He says, “Our mission is to work for peace — every day and everywhere. Peace is the right and desire of all people. It is the foundation for progress and well-being — happy children, thriving communities, and peaceful, prosperous countries. Let us pledge to work together — today and every day — for the peace we all yearn for and deserve." 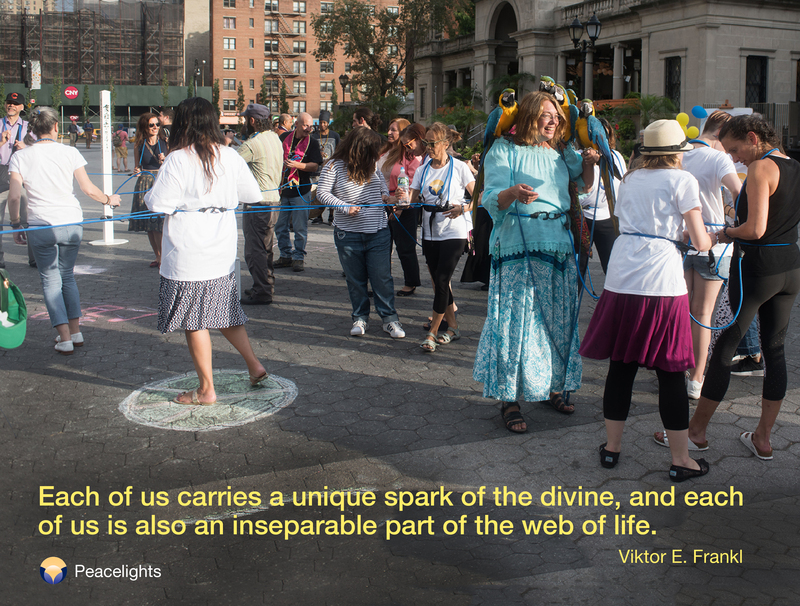 At Peacelights, our work is to change consciousness and promote unity, one person at a time. We do this in a fun celebratory way with our Connect for Peace events. They are simple but the effects on the communities involved is profound. We will be in New York City and Beirut again this year. If you live nearby, join us — your presence makes a difference. If you have friends in the area who might be interested, please forward this information to them. When: Sunday, September 17th from 11am to 5pm. Where: Naumburg Bandshell in Central Park. We invite you to join us for the Vigil 4 Peace & Ecology this Sunday filled with art, music, speeches, fun and peace! When: Thursday, September 21st from 4:30pm to 7:30pm. 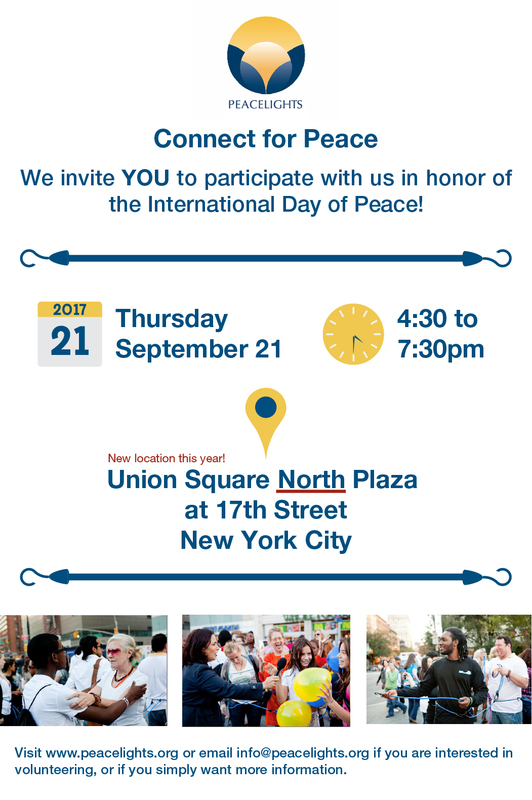 Please join us for our annual Connect for Peace event in NYC. Be sure to note that we are in a different part of the park than the years before. When: October — date and time TBD. Where: Beirut, Lebanon - exact location to come. For our peacelights in Beirut, Lebanon, we will be hosting a Connect for Peace event this October. Please stay tuned for more information. Events are happening all around the world and they are conveniently mapped out here. 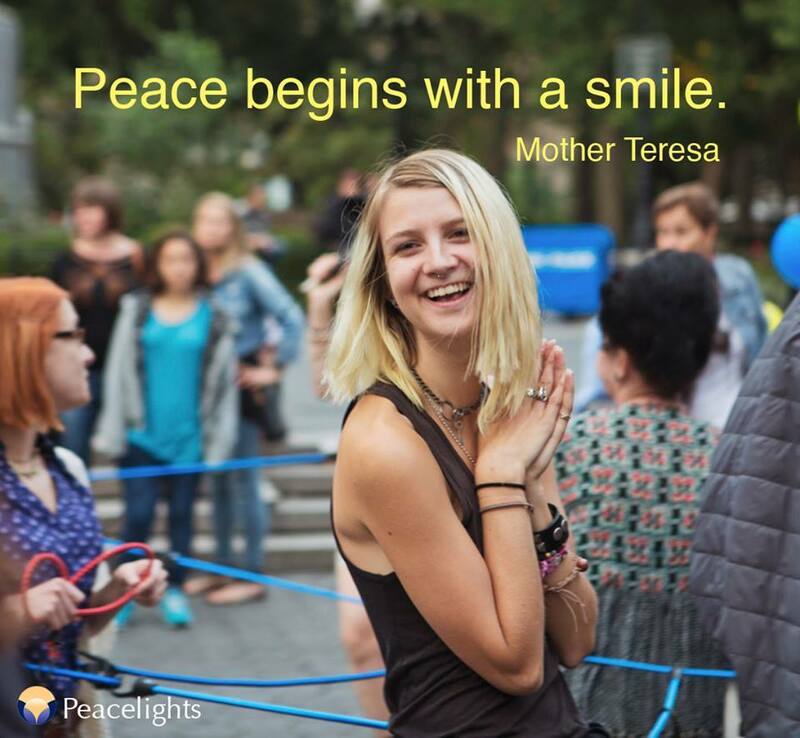 You can find a celebration of peace near you, or create your own. 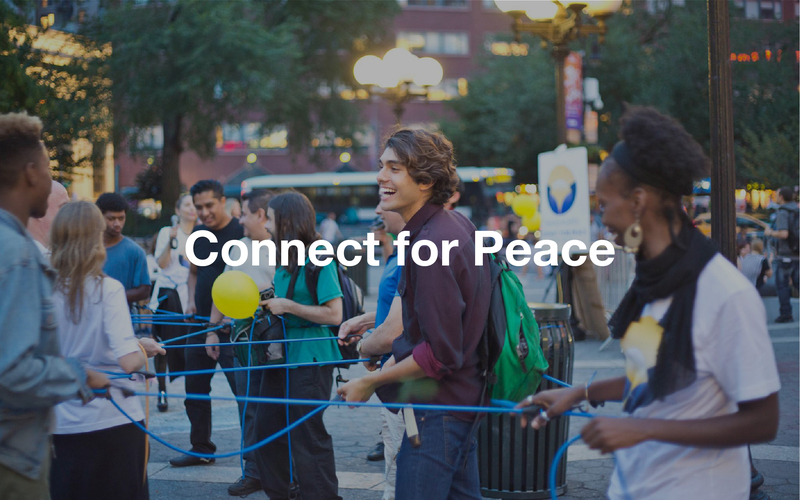 We hope to see you New York this Sunday at Central Park, and this Thursday for our annual Connect for Peace street happening in Union Square! 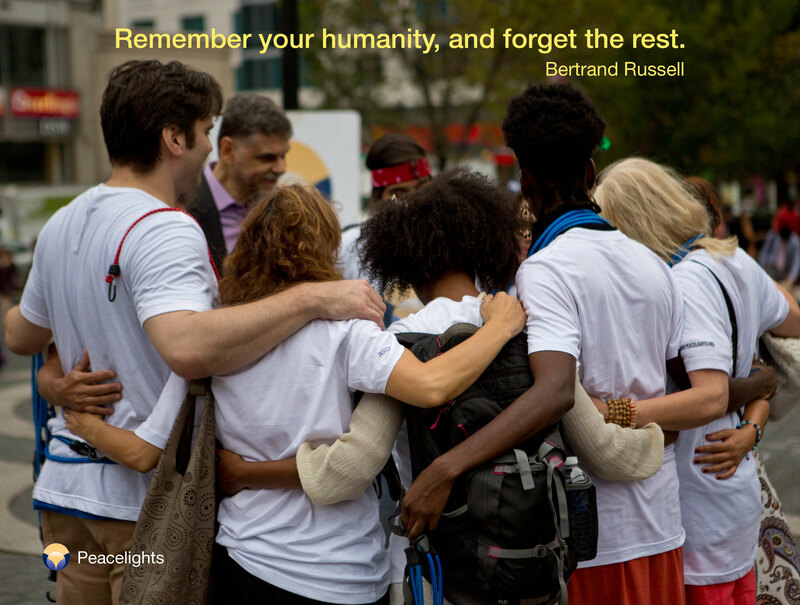 This week's Friday Flicker is from our 2015 Connect for Peace event in NYC, with a quote from philosopher Bertrand Russell (1872-1970), who received the Nobel Prize in Literature for championing humanitarian ideals and freedom of thought: "Remember your humanity, and forget the rest." 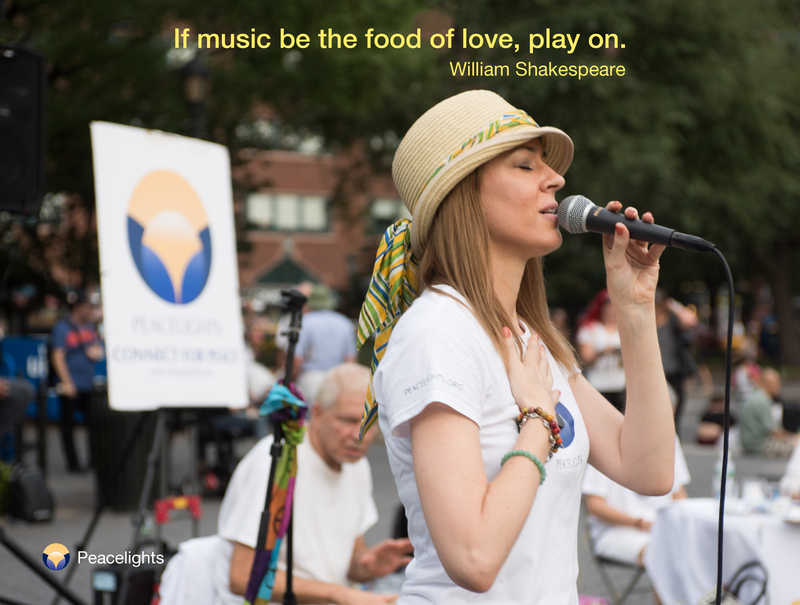 This week’s Flicker is a photo of our friend, singer and songwriter Jess Domain from our Connect for Peace event in 2016, with a quote from poet and playwright William Shakespeare (1564-1616): "If music be the food of love, play on."